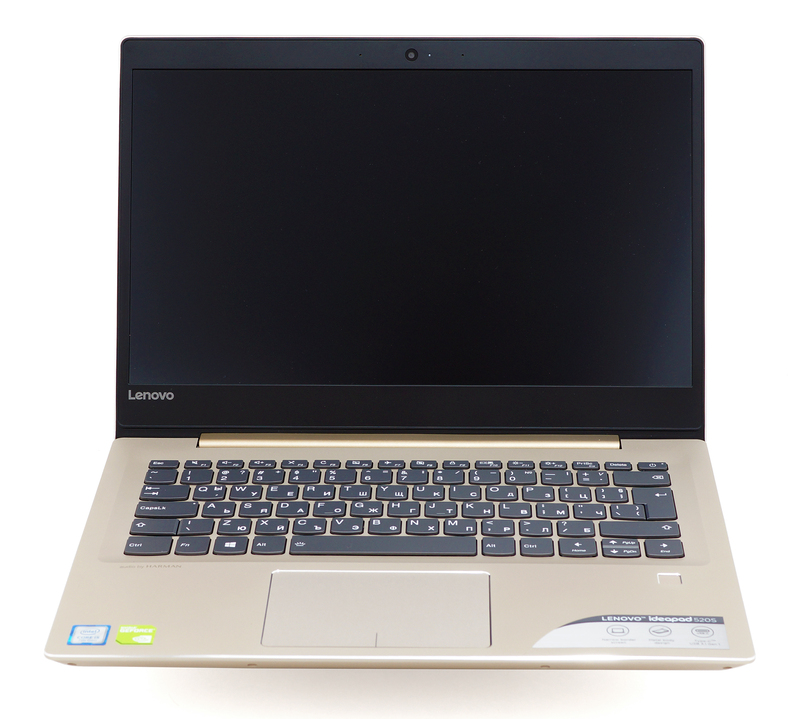 Before the Ideapad 720s comes out, Lenovo has prepared a more affordable version of the notebook with little trade-offs called Ideapad 520s – the latter is bulkier, slightly heavier, misses on some of the features like Thunderbolt support and isn’t made of aluminum all around. However, the slim bezels – although not as slim as the Ideapad 720s – and the basic hardware specs of the machine are familiar – Intel Core i5-7200U paired with NVIDIA GeForce 940MX discrete GPU, 8GB of DDR4-2133 memory and a 14-inch Full HD IPS panel. 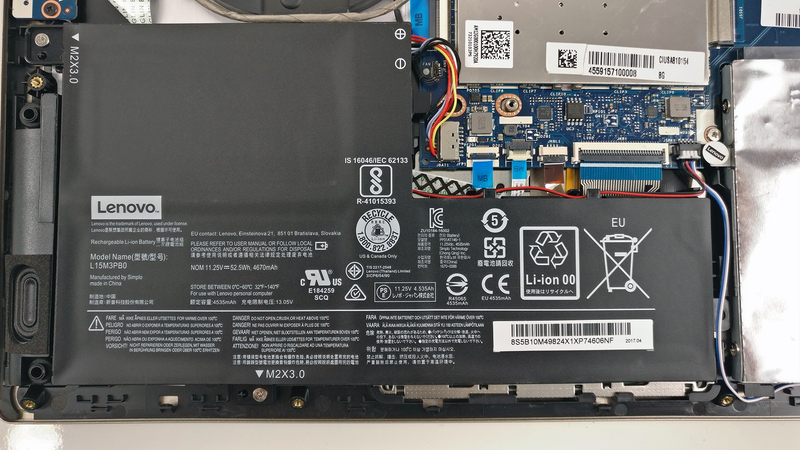 And despite being the budget-oriented version of the two, costing just a little over €700, the Ideapad 520s impresses with good choice materials, portability, performance and excellent working experience on the go. The downsides are the limited battery life and probably having less than stellar viewing experience on the budget IPS panel. 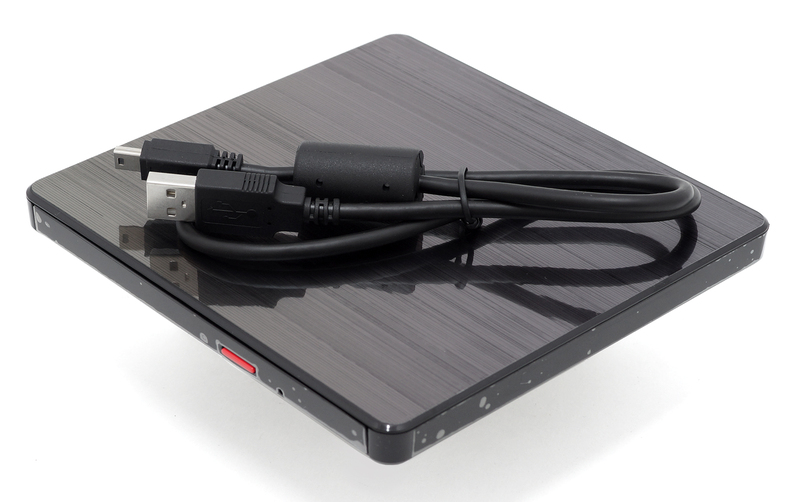 But to be honest, we can’t really be too picky about this when it comes down to a reasonably priced 14-inch powerhouse. 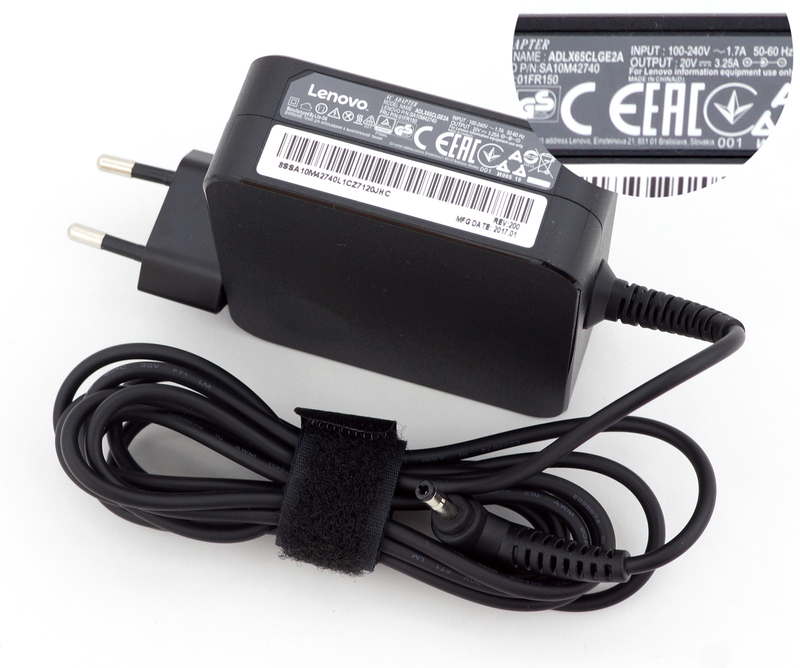 The notebook comes in a relatively bulky box with the usual user manuals, AC adapter and power cord for charging. 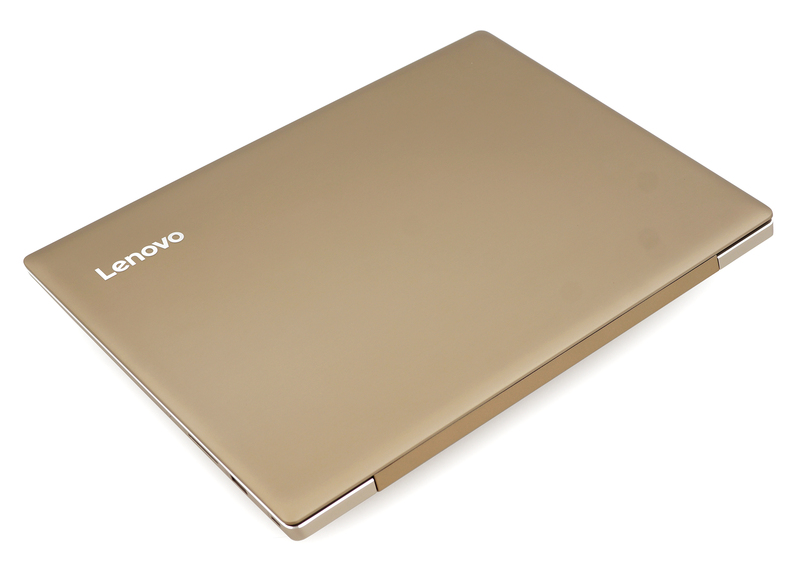 Moreover, Lenovo is being very thoughtful here and has put an external optical drive if you ever happen to miss that on the 14-inch Ideapad 520s. 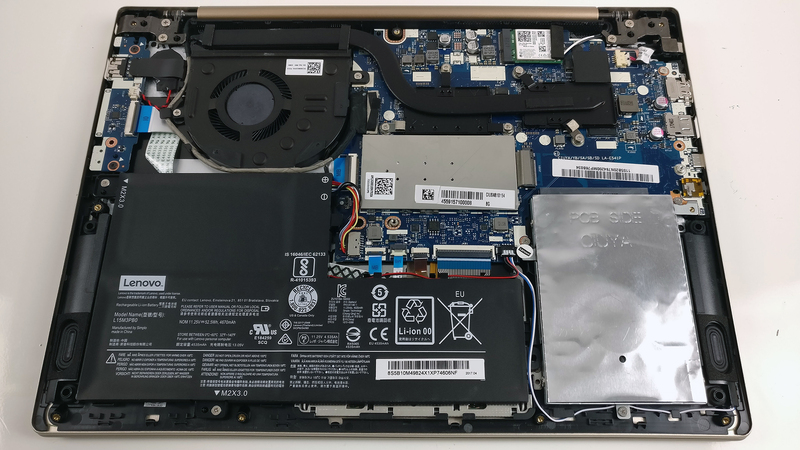 As we said earlier, the Ideapad 520s follows much of the same design language as the Ideapad 720s but has largely different dimensions and doesn’t use aluminum only but at the same time, doesn’t feel weak at all. Anyway, the lid appears to be the same – anodized aluminum plate that’s pretty solid, doesn’t give in under pressure and it’s fairly resistant to torsion. The single hinge design seems to be pretty good as well – smooth linear travel from the very beginning allowing the user to open the notebook with just one hand. Opening the lid reveals the matte 14-inch display with pretty thin side bezels but the chin and the upper one are just about normal in size. 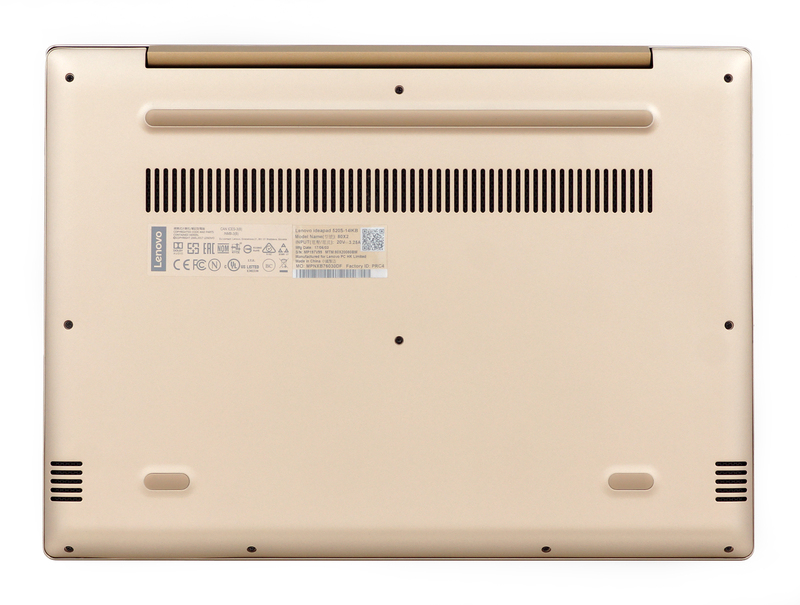 This is one of the small differences setting the Ideapad 520s from the Ideapad 720s – the latter has a thin upper bezel as well and features a glossy screen. Also, the bottom piece is made of plastic and forms a sharp protruding edge with the aluminum base – nothing bad really but gives away the budget nature of the laptop. The sides are thin enough to impress (just a little over 19 mm) but not too thin not to include the usual set of I/O. The left side accommodates the DC charging port, full-sized HDMI, USB 3.0, USB-C 3.1 (Gen 1) and a 3.5 mm audio jack. On the right, you will find a standard SD card reader and a USB 2.0. The interior remains aluminum giving that premium feel when working on the Ideapad 520s and retaining that fingerprint sensor on the right side of the palm rest. Not to mention the rock solid feel of the whole base thanks to that thick aluminum sheet. 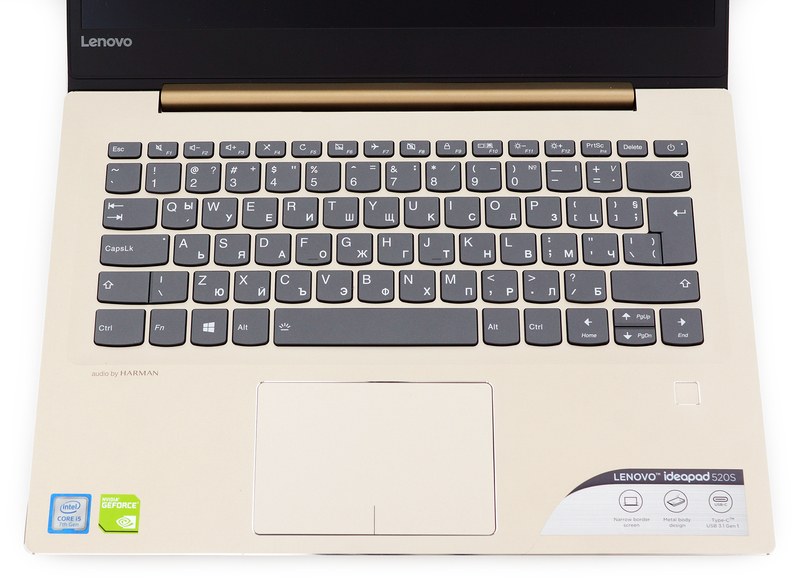 Anyway, the keyboard appears to in the usual AccuType style from Lenovo with rounded bottom edge. What surprised us, though, is the fairly long travel of each key. On top of that, each keystroke results in satisfying clicky audible and tactile feedback and combined with the LED illumination, the working experience is just ideal, especially on the go. Nothing bad can be said about the touchpad as well – it’s light to click, it has buttery-smooth gliding surface and registers all gestures and swipes accurately. In fact, we can’t really tell the difference in the input devices between the Ideapad 520s and the Ideapad 720s – both are just awesome. 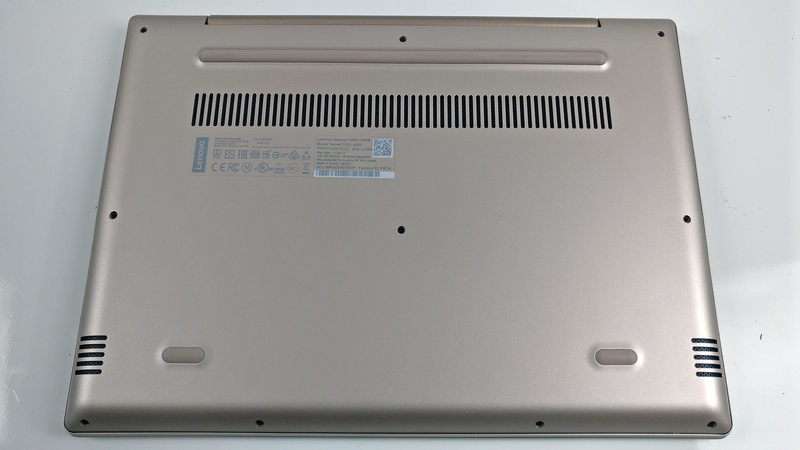 In the end, the trade-offs in the Ideapad 520s aren’t as big as we thought they would be in the build department. Despite the plastic used for the bottom of the base, the whole chassis feels tight, rigid and doesn’t take away too much from the portability – 1.7 kg is still pretty reasonable. 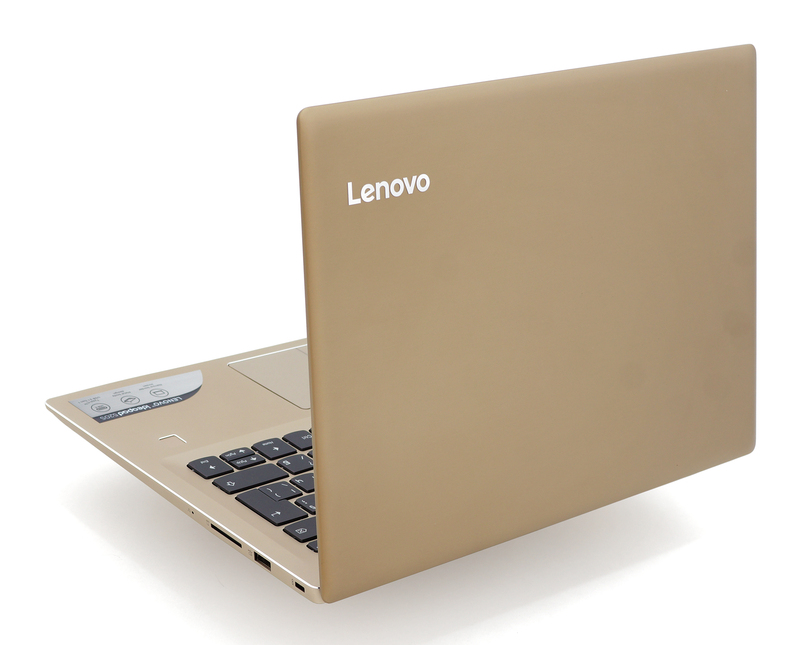 The most important thing here, however, is the strong lid, smooth hinge and the excellent input devices. 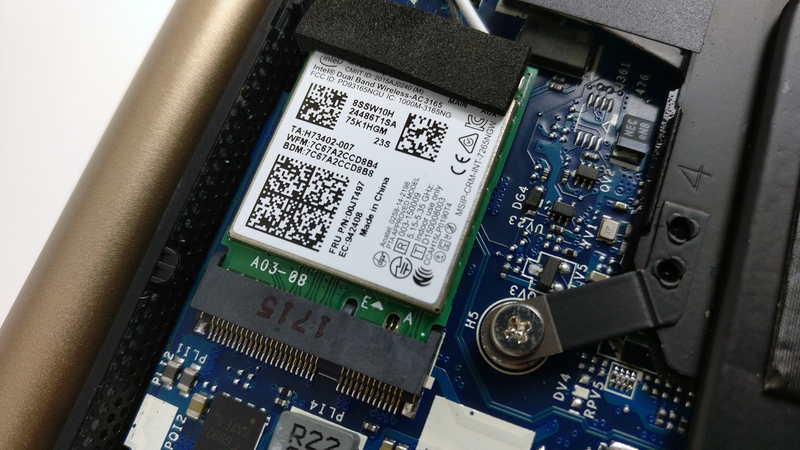 If accessing the internals is important to you, we have some good news – the bottom piece comes off easily giving hassle-free access to the hardware. You just have to remove all the screws on the bottom and gently pry it up. 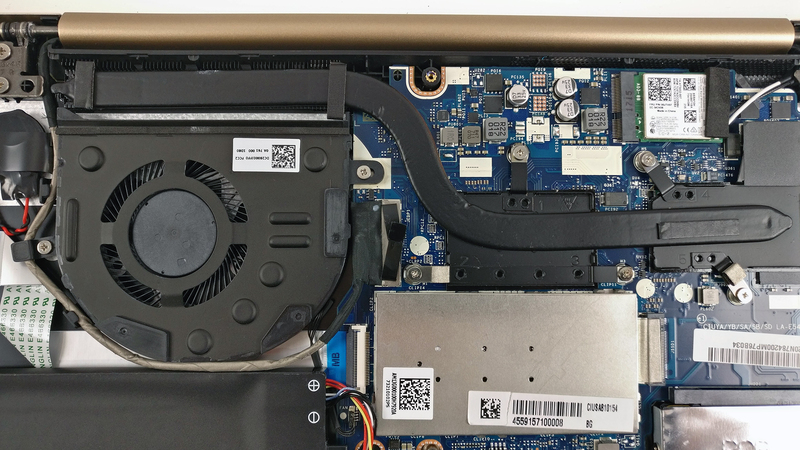 Surprisingly for a 14-inch laptop, the Ideapad 520s sports an M.2 SSD slot on top of the 2.5-inch drive bay. In our case, only the HDD slot was taken but you can stick inside an M.2 PCIe NVMe-enabled SSD as well. The motherboard offers only one memory slot located under the metal cover in the middle. 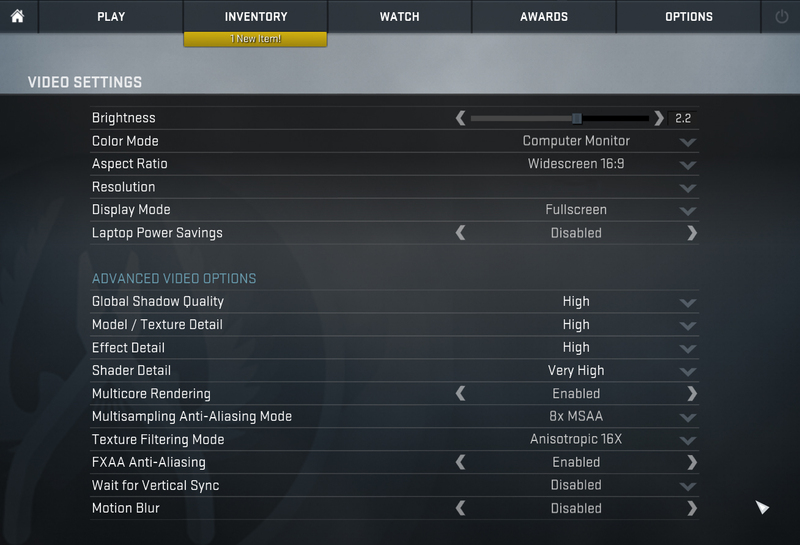 You can go up to 16GB of DDR4-2400 memory on a single channel configuration. 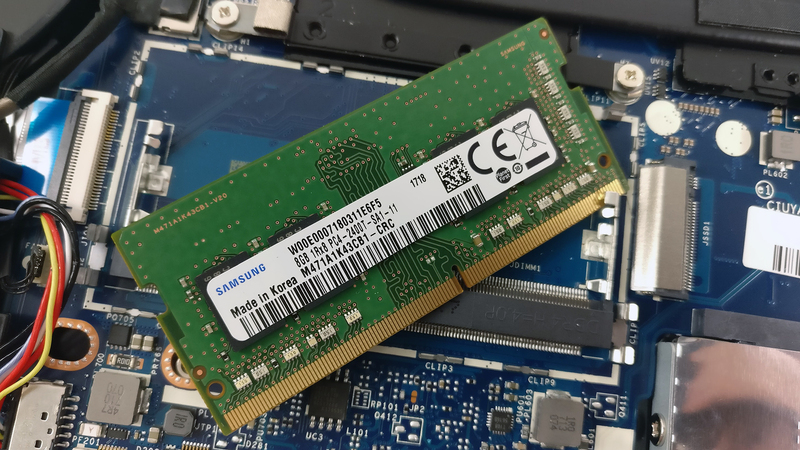 Our unit, however, had a Samsung 8GB DDR4-2400 stick. 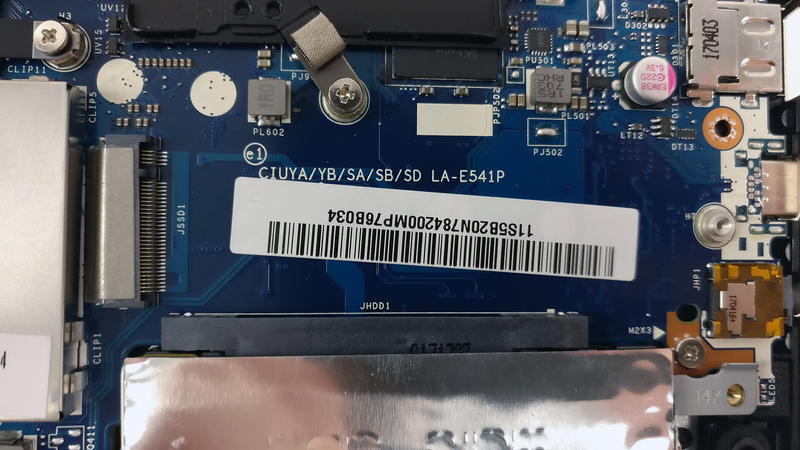 The Wi-Fi adapter is placed near the screen hinge and it’s Intel 3165NGW. A single heatpipe connecting the fan and both heatsinks takes care of the whole cooling process but it proved to be enough considering the undemanding hardware. 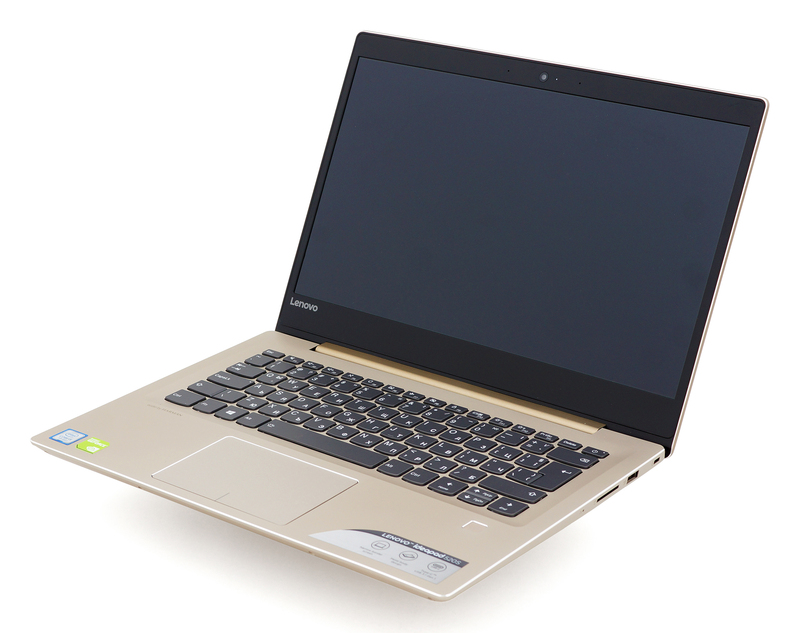 The Ideapad 520s features a standard 14-inch Full HD (1920×1080) IPS panel with 157 ppi and 0.16 x 0.16 mm pixel pitch. 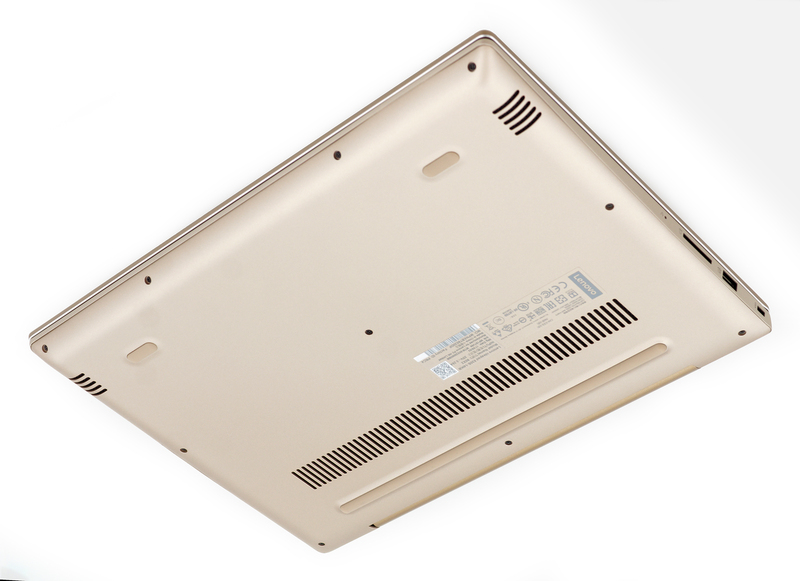 It’s manufactured by Innolux with model number N140HCA-EAC. It can be considered as “Retina” when viewed from at least 56 cm. We’ve recorded a peak brightness of 265 cd/m2 in the center of the screen and 250cd/m2 as average across the surface with 14% maximum deviation. The correlated color temperature at maximum brightness is almost optimal – 6550K and stays pretty much the same when going along the grayscale – 6500K. You can see how these values change at 140 cd/m2 (85% brightness) in the image below. The maximum color deviation dE2000 compared to the center of the screen should be no more than 4.0 if you are planning to do color-sensitive work. And in this case, since the laptop is going to be used mostly for multimedia and office work, a deviation of 3.8 in the lower right corner is negligible. 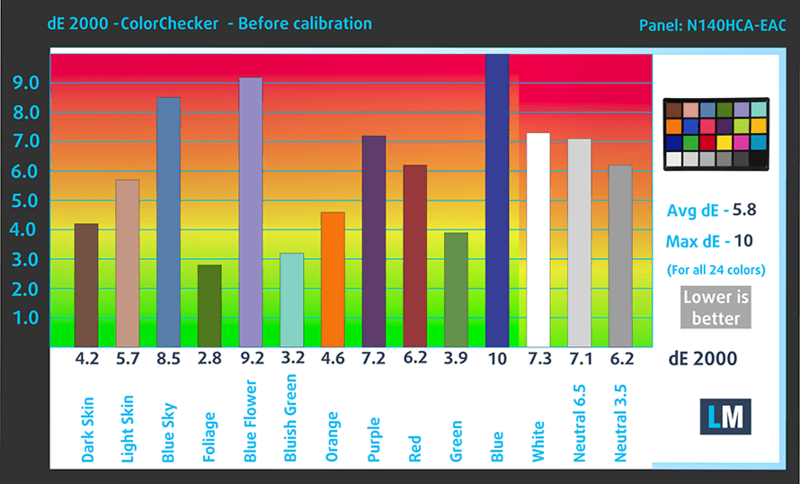 The contrast ratio is excellent – 1200:1 before calibration and 1110:1 after calibration. 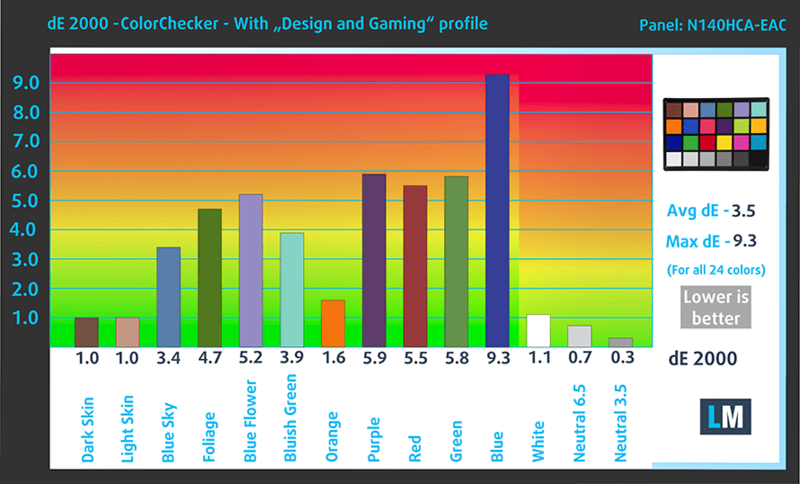 As expected, the display covers merely half of the sRGB color gamut so ideal multimedia experience cannot be expected. We’ve only recorded high-frequency PWM at low brightness levels (65 cd/m2) and most probably you won’t go this low. Having said that, we consider the panel safe to use for long periods of time. 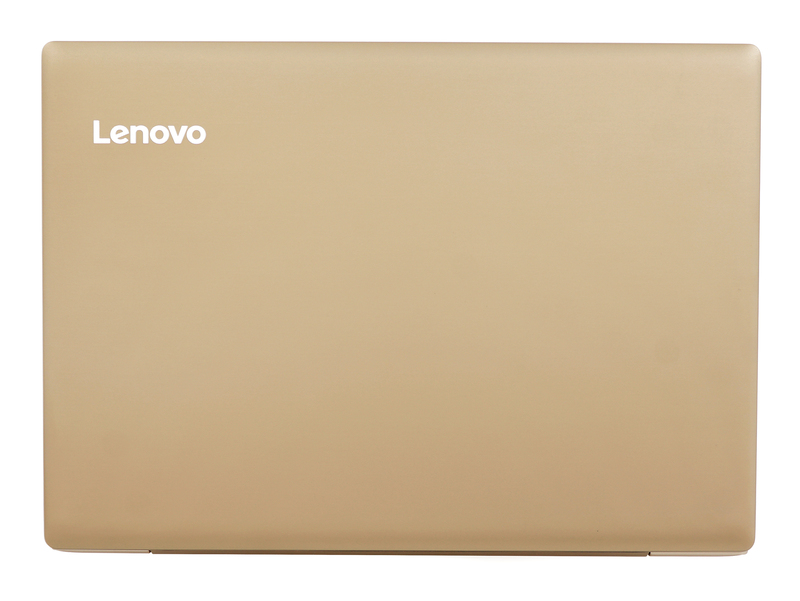 Lenovo used a budget IPS panel for the Ideapad 520s and judging by the price, we can see why. It has its drawbacks like limited maximum brightness and narrow sRGB coverage but it also carries convincing properties like high contrast ratio, no PWM above certain level of brightness and like every IPS panel out there, it has pleasant viewing angles. In any case, it’s much better than the usual TN displays. The sound quality is fine with just small barely noticeable distortions from time to time. We are pretty impressed by the results from our battery test and the main reason for the long battery life is the battery unit itself. It’s pretty generous and holds a big 52.5Wh charge that can deliver plenty of power away from the plug to the rather small 14-inch IPS display and the undemanding Core i5-7200U processor. In addition, the 14-inch form factor doesn’t mean that storage options are limited – you still get the standard 2.5-inch bay and an M.2 SSD slot like most 15-inchers. 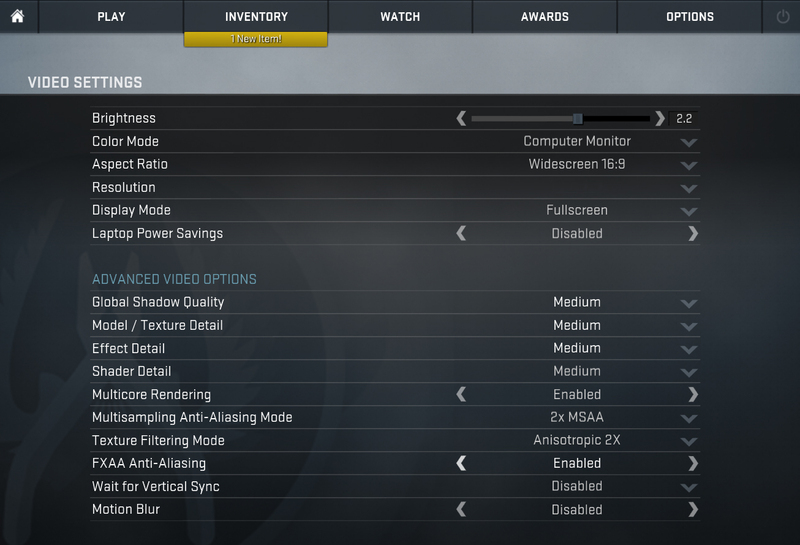 The RAM slot is also accessible but you are limited to 16GB of DDR4-2400 on a single channel. This should be more than enough for your daily multimedia, office and browsing tasks. And thanks to the huge battery capacity, you can enjoy working away from the plug for quite some time. The only serious drawback, which is probably a result of the affordable price, is the screen. It merely covers 52% of the sRGB color space and the maximum brightness won’t be enough to ensure comfortable work outdoors. 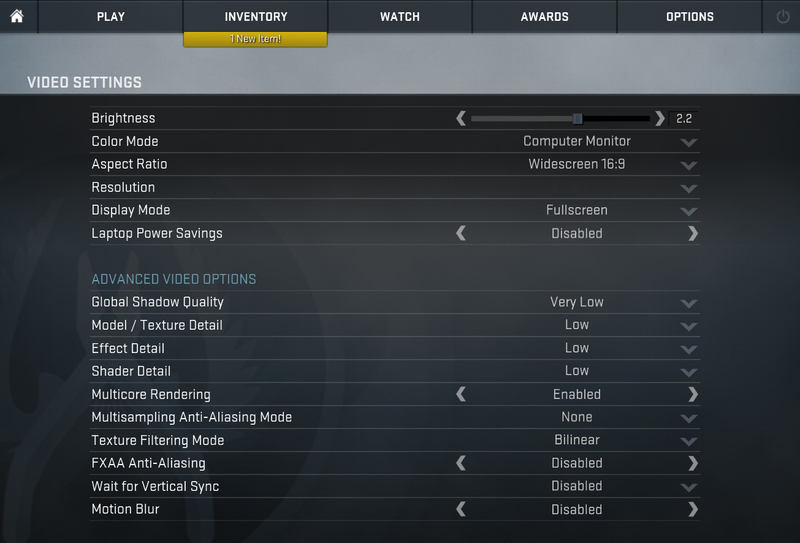 The absence of PWM and the high contrast are important factors to consider, though. For a few dollars more, you can opt for the 14-inch ASUS ZenBook UX410UQ, which offers superior image quality and just about the same hardware. Obviously, the all-aluminum chassis is also a compelling reason to opt for the ASUS solution. In any case, if the Ideapad 520s (14-inch) falls right in your budget, be ready to settle for less than stellar image quality. I disagree that this is a good buy – at least in the US. The 720s can be had with a quad core 8250u, 256 GB SSD, an MX150, faster RAM (DDR4-2400 vs 2133), a better screen, TB3, and better WiFi (8265 vs 3265) for $70 more. That’s marginally more than the sales tax on the purchase $729 purchase, but that $70 buys a LOT of upgrades. I could see this being more compelling at a $599 USD price point, or maybe less. But at $729? No way. Not that close to the 720s. You are absolutely right. At the time of writing this review (as you can see we’ve tested the older version with 7th Generation CPUs), the price was lower. Maybe the price has gone up because there’s only one available option at the moment but in Europe, it’s still a nice bargain. Not the best one but still good. The price difference is more than $200 in most parts of Europe. Fair enough. I agree that the differences change the value proposition depending on where you live. I never understood why the base prices could vary so much across the world, though. I understand differences for currency fluctuation and how each nation adds its sales tax/VAT. You’d think it that if the MSRP is $700 USD, for example, it would be the equivalent in euros, pounds, etc, rather than being like $700/700 euros/600 GBP or something like that and penalizing people for using different currencies. Tax man always has to get their share. 🙁 I’m guessing it doesn’t help buying directly from the vendors’ online stores? Only a handful of countries can buy directly from the vendor but even then I don’t see any significant price difference.